It is based on a sandstone dowsing pendulum found in Egypt's Valley of Kings, Karnak is now made out of brass, or carved in ebony. It is very sensitive and has very broad range of uses: from water and mineral witching through checking food, diagnosing, checking and dozing medicines and therapeutic radiesthesia and detecting harmful radiation. 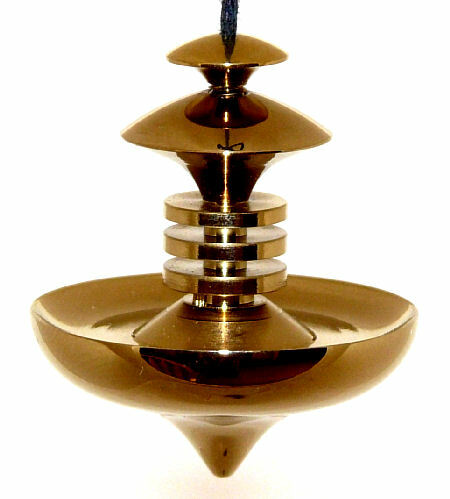 Karnak is a mental pendulum and can be used as a transmitter and as a receiver. 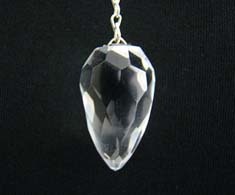 It radiates its own energy, so it doesn't need neutralization. It sends a ray of negative green to the North, so don't dowse for a long periods with your back to the North. This one is 1 1/4" (32mm) long and weighs 0.2oz.